Greta Van Fleet have announced a 2019 world tour. The rising Michigan stars will play in support of their upcoming debut album March Of The Peaceful Army which is set to arrive on October 19 via EMI. The band will kick off the run of shows in Sydney, Australia, on January 29 before further dates in the country. They’ll then stop off in New Zealand before heading to the UK, Ireland and Europe in February and March. 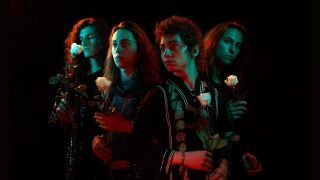 Greta Van Fleet will then tour across North America, bringing the curtain down on June 4 in Madison, WI. Tickets for the North American leg will go on sale from 10am local time on October 12, while tickets all other dates will be available on October 19. Greta Van Fleet have released four tracks from their debut album: When The Curtain Falls, Watching Over, Lover, Leaver (Taker, Believer) and Anthem.